In 1977 Anthony and his family left Canberra to start their own business. 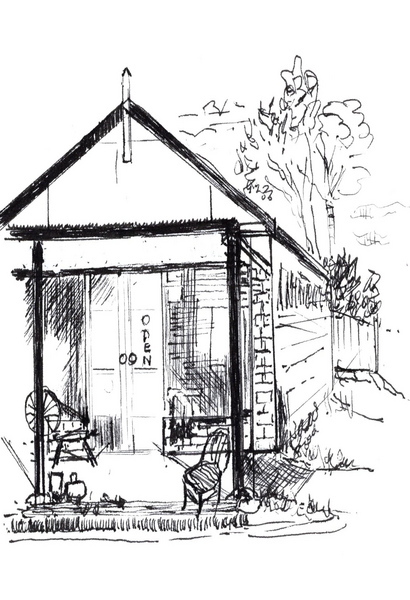 Inveterate collections, he and Gillian opened an antique shop in a village near Yass in New South Wales. They were there for five years, and the experience formed the basis of Anthony's first three books. 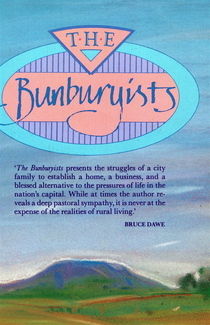 The first was The Bunburyists illustrated by a dear neighbour, Peggy Earl, and published by Penguin Books in 1985. It is a largely autobiographical work, drawing on a series of articles Anthony wrote for the National Times about living and working as an antique dealer in a country village. It also has two sections of fictional short stories, to deal with some of the less pleasant aspects of rural life. This was followed by Antique Furniture in Australia, also published by Penguin, a comprehensive and lavishly illustrated guide for collectors on identifying, buying and restoring antique furniture. This best-selling book ran through three editions, and was in print for some 17 years. The literary rights have recently been bought by another publisher, and a new collaborative edition for collectors is scheduled to appear in 2009. In 1982 the family returned to Canberra, where Anthony began work as a television journalist and started writing his books. 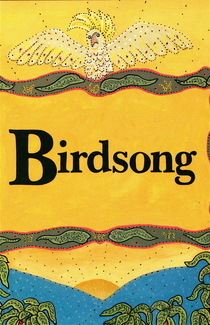 His first children's novelBirdsong, illustrated by Kay Watts, was published in 1988 by Oxford University Press. The story of a lonely boy and his talking cockatoo called Benjamin, it was written with a wistful sense of those golden summers and of Jane's childhood growing up in the countryside amid the love of nature.